Urban Removals is a team of highly-talented furniture removals Southbank specialists, fully equipped to take on all kinds of removal jobs. Ranked as among the top furniture removalists Southbank team, we bring much to the table. We take anxiety and stress out of any removal job, leaving you with time and energy to focus on things that are important to you. Our furniture removals Southbank specialists are the very best in the business and boast of years of experience in removal industry. Besides being highly-experienced, they are fully committed to provide excellent service to customers, irrespective of the scope and nature of the job. We also possess a fleet of cargo trucks and all the latest equipment to handle special items such as piano, pool table and furniture. When you contact us for a removal job, we promise you to take care of everything—and do exactly that. Our furniture removals Southbank professionals thoroughly plan your move and give you the full freedom to decide the schedule the move as per your convenience. Our furniture removals Southbank services are available on all days of the year, so we can help you move to a new location on any day of your choice, as long as you inform us about it in advance. Trained professionals: We know how precious your stuff is to you and that’s why we only hire the best furniture removals Southbank Our staff is highly trained and experienced; after all, we won’t let just a novice to handle your precious items. Top-class customer service: Tired of furniture removalists Southbank providers with shoddy customer service? Well then, you got to try us. We have a team of excellent customer representatives who will do all that is needed to provide you with necessary information and a first class experience. Premium Service at affordable price: Urban cheap furniture Removalists Southbank pride ourselves to be the only future removalists Southbank who provide premium service to customers at competitive prices. With us, you get the best of both words: excellent service and affordable prices. A full range of service: Urban furniture Removalists Southbank provide you all kinds of removal service, so that you will never have to go anywhere else. If you have a removal need, we have the required solution. It’s as simple as that. House Removal – Our team of expert furniture removals Southbank specialists can help you move to a new home, whether it is in a high-rise building or a busy street. Our experts can sit with you and create a customized plan to suit your requirements. Interstate Removal – Are you moving to a new state? Well, you can trust our removalists Southbank team to move your stuff in a hassle-free manner, irrespective of how far you are moving. Urban furniture removalists Southbank provide the full range of services under one roof, so that you don’t have to go elsewhere. Whatever type of removal need you have, we will take care of it. Unlike many run-of-the-mill movers Southbank services, we are completely transparent—and thorough—in our moving process. We pride in ability to plan all removal jobs to the minutest detail and think that this is the biggest difference between us and other movers Southbank providers. Moving your stuff – On the agreed date, our team will reach your home and start packing everything. Once that is done, our removals Southbank team will load your stuff and give you a detailed inventory to have on paper a record of items we’ve packed and loaded. When all of this is done, our cargo trucks will proceed to the new location. Help you settle in – Shortly after delivering and unloading your stuff, our furniture removals Southbank professionals will contact you to confirm everything is as it should be. We will be more than happy to answer your questions about your move or about the new location. Finally, we will request you give us your feedback, which is extremely valuable to us. 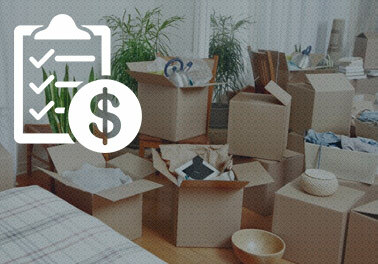 Most furniture movers Southbank providers offer one-size-fits-all moving solutions—but not we. This is because we understand the moving needs of each customer are different. That’s why we offer the moving plan that’s right—or rather perfect—for you. If you are looking for furniture movers Southbank provider who has your best interests in mind, we are the right choice for you. Our experts will take care of all your moving needs. Whether you are moving from one house to another in the same city or to a new state, we have you fully covered. We have the expertise, manpower, experience, and equipment to move your stuff hassle-free and quickly. Our furniture removals Southbank specialists can help you with packing as well and if you need eco-friendly cartons, we have them too. We can also advise you on how to pack heavy stuff, like your fridge or furniture, pool table, and piano among others. Urban furniture movers Southbank are also adept in handling delicate stuff. We have a fleet of the latest cargo trucks and use specialized equipment to ensure all your stuff reaches the new location in prime condition. Our furniture removals Southbank can arrange your stuff in the manner you like in the new location if you want. Why Urban Furniture Removals Southbank Should Be Your First Choice? Satisfaction guaranteed – Urban furniture removals Southbank have a very committed team who work super hard to ensure you are hundred percent satisfied with our services. We will happily go the extra distance to accommodate your wishes. Schedule your move according to your convenience – Urban furniture removals Southbank work on weekends as well as on holidays. We are always ready to help you move, whatever the day of the week.